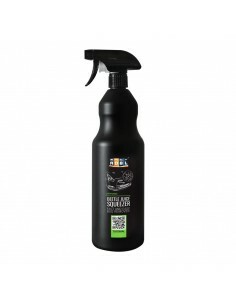 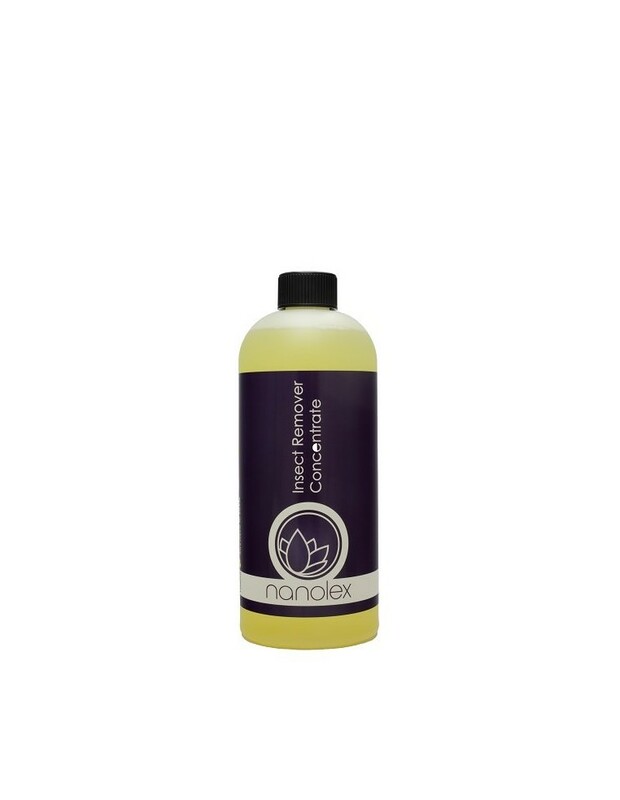 Special alkaline cleaner for the residue-free removal of insects, chitin, pollen and other organic residues, readying the car for the pre-wash stage. 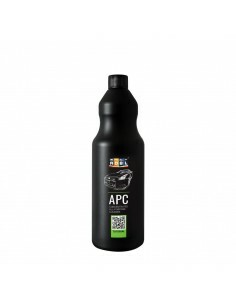 Carefully-assorted active ingredients and a special surfactant combination penetrate into the dirt, softening it, and then removing it thoroughly and gently, without damaging the paint or any protective coatings. 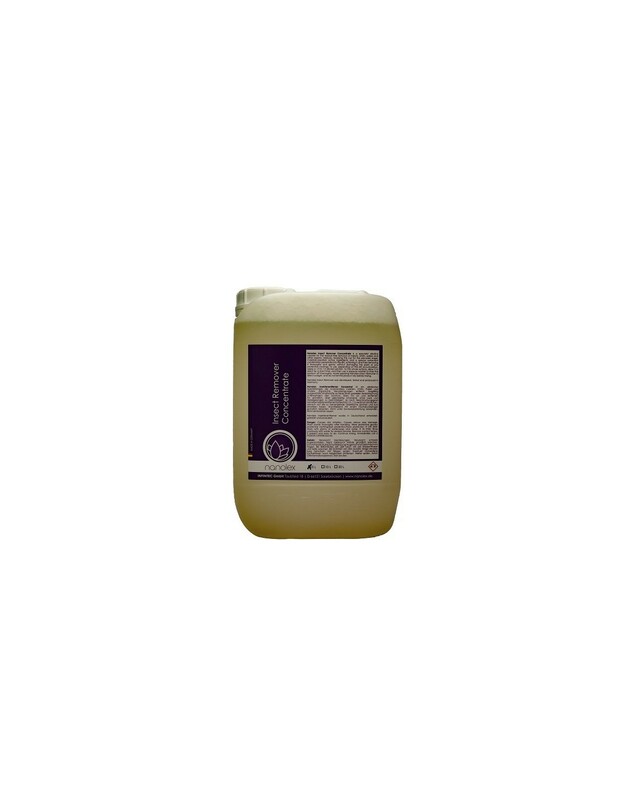 To use, apply Nanolex Insect Remover to the whole surface, allow it to react for a short time, and then use a pressure washer to rinse the product off thoroughly. 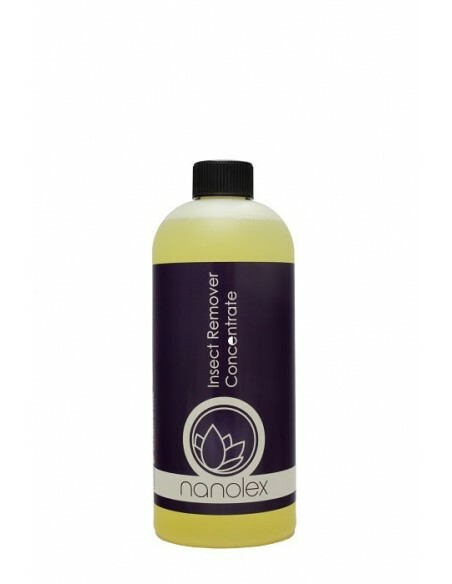 Avoid applying Nanolex Insect Remover in direct sunlight, and do not let the product dry before rinsing.